Network Monitoring solutions are essential for researching data from network trafficking, detecting and remedying any errors in the network infrastructure, and monitoring a network’s performance and ability to deliver data. Unfortunately, too few businesses rely less on automated network performance monitoring (NPM) solutions, leading to massive losses in data and resources. Nowadays, there are numerous enterprise and free solutions that enable productive performance monitoring for IT departments. To differentiate between each of the solutions that are offered, network analysts, IT workers, and system administrators need to conduct extensive research to correctly plan, assess, and deploy the right solution for their organization. When it comes to IT buyer’s research, consulting trustworthy independent sources are the proper route to take. With that in mind, we’ve compiled a list of the seven best buyer’s resources for evaluating NPM solutions. Since each organization needs a tool to match up with their own specific use cases, these resources allow researchers to sift through solutions that satisfy a wide range of Network Performance and Intelligence Monitoring requirements. Gartner is the world’s largest information technology research and advisory company, delivering reports and market research studies that assist businesses in making product selections. This website is best-known for its Magic Quadrant reports, which rank solution providers based on their ability to execute and completeness of vision. Each Magic Quadrant focuses on a specific market, giving researchers a wide-angle view of the top tools available to them. Gartner currently publishes Magic Quadrant for Network Performance Monitoring and Diagnostics. Gartner also offers Critical Capabilities reports, which allow the reader to compare vendors based on specific use cases which relate to their own environments. G2 Crowd is one of the most popular, user-end review websites for technology vendors and solutions. Offering brief tidbits on 77 prominent network monitoring solutions. each solution is rated on a five-star scale by product users, posting the pros, cons, and usability of each solution. Like Gartner, G2 Crowd also offers a quadrant called the G2 Crowd Grid, presenting a visual representation of the high performers, niche players, market leaders, and contenders in the NPM market. 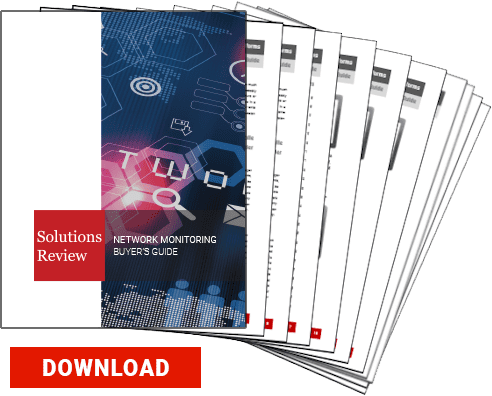 Solutions Review’s Buyer’s Guide offers insight on the top 28 Network Monitoring vendors with vital data on their solutions, making it easy for companies considering network monitoring implementations to compare and contrast solutions and find their best fit. Through this enterprise-grade resource, solutions-seekers will be armed with all of the knowledge they need to ensure a selection of the best software for their company. TrustRadius is a review site for business software, helping buyers make better product decisions based on unbiased reviews. Like G2 Crowd.many of these reviews come from actual end-users and their experiences. This resource collects reviews that are in-depth and substantive, and every reviewer on the site is vetted by the TrustRadius research team before publication. This selection process allows businesses to know that the reviews aren’t being submitted by biased, sponsored, or unapologetically frustrated reviewers. In addition, TrustRadius employs a handy algorithm that ensures product scores represent only true customer sentiment by correcting for selection bias. 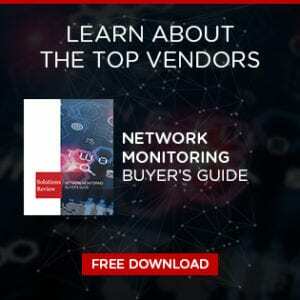 Capterra is a great resource for those who are unfamiliar with the current state of the enterprise Network Monitoring market. It provides a simple way for readers to peruse vendors, read reviews and ratings, and gain a better understanding as to who the key players are. Capterra’s Add to Compare feature is handy for comparing solutions if there is a specific functionality on your wish list. What Capterra lacks in terms of sophisticated graphics and visuals, it makes up for in ease-of-use. Gartner Peer Insights is Gartner’s crowdsourced review site that presents the collective experiences of thousands of qualified tech buyers and end users. Perhaps most importantly, Gartner’s Peer Insights democratizes the evaluation process, allowing for vendors not typically included in Magic Quadrants and Critical Capabilities reports due to their stringent requirements. Gartner’s Peer Insights on Identity Governance and Administration features 291 reviews on 22 vendors—far more than considered in the Magic Quadrant and Critical capabilities reports. Having a hard time keeping up with Network Monitoring jargon? We’ve got you covered. Solutions Review’s A to Z Network Monitoring glossary has definitions for over 50 of the most popular terms and acronyms. The NPM market is continuously growing, integrating their solutions into security, DevOps, and Big Data solutions.